The Crying Lady! | My Short Takes! Home » A Story To Tell! » The Crying Lady! Images – Crying Lady For Illustration Purposes Only! Please pay attention to yourself only! – The Indian Nurse was scolding me! You came here for your treatment only – so please forget the others for now! –she was scolding – visibly annoyed by the questioning! I was asking her – Who is that lady crying profusely bitterly mournfully and plaintively? Who is that lady on the roof of the hospital? She was crying as she recited the Holy Book? Joined by others in lower voices lending her courage and support? It was 2 a.m. at night – and I could not hold it any longer! Though still in pain – I got out from the bed – and just after the scare of my Prostate Operation – and before that being admitted in the ICU unit! Who could have imagined that the dirtiest part of the products of your body – your blocked urine – could end you in enlarged prostate and threatened kidneys – one swollen to about to rupture? A thing that I have been fighting against for so long? I should have been wiser to go for medication – but when the idea of operation came in that scared me stiff! My Late Father, my Late Mother and My Elder Brother had all died from operations – from the same hospital – high profile one – and was this now my time to go? Everyone had assured me that the operation was simple – and there was nothing to worry about! But worried and scared I was indeed – for the first time ever in my life – even more than they were murdering people in cold blood – and we were all inside the house waiting for our turn! This was the bloody revolution and ethnic cleansing in 1964 in Zanzibar then! As I walked painstakingly and slowly up the stairs – I could hear the crying more loudly! As I reached the circle of female supporters behind the Crying Lady – one of the ladies walked towards me! 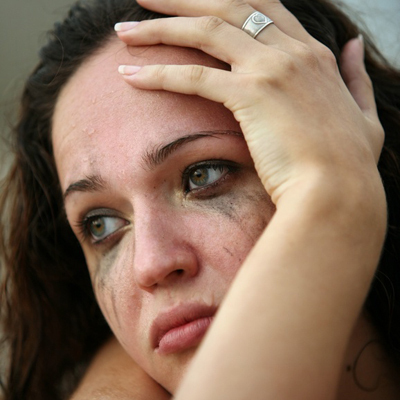 I asked her – Why is she crying? And reciting the Holy book at the same time? She told me – You are the only male here! Please! I repeated the question – She replied ruefully – as if to a child asking a stupid irritating question! Please go away! Leave her alone! She is praying for her brother – who had just graduated from University. He was the only last hope of the whole family! She had helped her mother to cook food to sell so they could survive! Life was very difficult! Her father was old and blind – and could not work! Her mother was old and feeble – even though she managed weakly to still cook the food to survive! She herself had left college to look after her family – after her mother had fallen seriously sick – and there was no one else to look after the younger children in the house! The East Africans have an expression – the outside of the house hides the secrets of the house inside! Her brother was identified with a devastating illness that was going to kill him in a few months’ time – and more serious than before identified ‘sickle cells’ before! My first instinct was to go and hug her. Comfort and console her! And to tell her everything will turn alright! As if reading my mind – the encountering lady cautioned me – I would not do that – she is a very conservative and practising lady – and that will be an affront to her! Excuse me – I said to the Crying Lady – trying to hug her! She pushed me off – Who are you? She stammered! I do not know you! You are not family or relative! Why do you want to hug me? Please respect us –I do not know you! Please! I told you – the other woman said – but you would not listen! You had to do it even after me telling you not to! No- I feel sorry for her! My feelings are pure and well meant! – I stammered. I know – I have heard about you! Please leave her alone for now! As I was getting away – I looked at the Crying Lady once again. 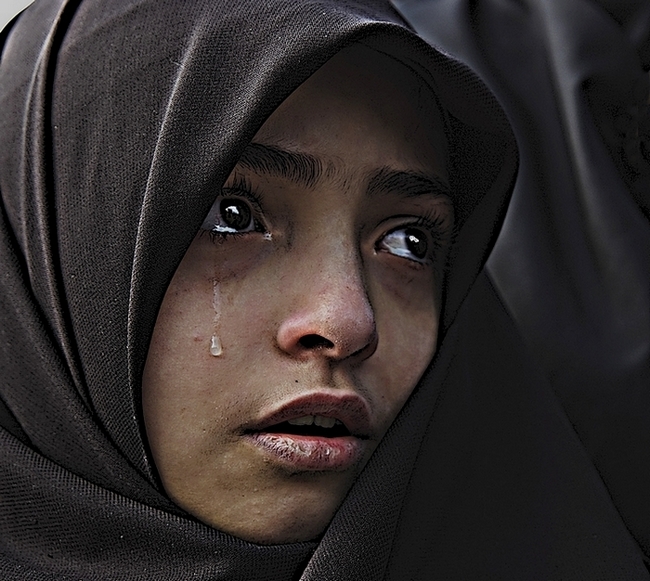 Her eyes were so heavy and desolate from crying – and praying! She looked at me with sort of sad eyes – with a mixture of shame, pity and forebodings – as if she should not have pushed me away! You can say like a telepathy hidden message between us! Between Us Only! It is alright – the eyes seem to say – but for now – leave me alone! I appreciate – but for now cannot reciprocate back! So sorry! Where have you been? The Indian nurse asked me – as I painstakingly returned to my bed! Not wanting another lecture and sermon – I got into my bed! Next day morning I heard the sad and tragic news – the boy had died early morning! Even quicker then what the doctors had predicted! Only Allah God Knows best in such things – To Him we came – and to him we shall return! Ameen Amen! Next morning I was feeling brave and courageous! So I told the sympathetic Indian Nurse on my episode! *** What crying lady on the roof? Your imagination has run wild – no one is allowed up there on the roof! Unless there is an Emergency! Or you must have dreamt the whole thing yourself only! No it was real! – saying more to myself than anybody else! I just kept quiet! What is the use? Who will believe me anyway! That I really made the trip upstairs – and had tried to console The Crying Lady? P.S. The mind is known to wander during a coma incident. The story is True but perhap the location may not be at the hospital but at another place! Nobody is allowed at the roof of the hospital unless it is an emergency or maybe at a terrace leading to the roof! Pingback: The Prophet Dream! Or Was It Just Coma Related? | My Short Takes!